My mama once told me that if I had been born eight hours earlier, my name might have been “Patrick.” Eight hours earlier and I would have been born on St. Patrick’s Day. Not that there is anything wrong with the name Patrick, but I could have gone through life as “Pat.” Despite those eight hours, I have had many green-themed birthday parties. After decades, I have made my peace with the Luck of the Irish always invading my birthday. This year our friends at Melissa’s Produce have sent us a few goodies to help celebrate St. Patrick’s day. With a box full of leeks, Napa cabbage, red kale, Brussels sprouts, kale sprouts, pearl onions, and three types of potatoes: fingerling, ruby gold, and baby Dutch potatoes it is easy to cook up flavorful dishes to celebrate any St. Patty’s Day party…or a birthday party or just a fabulous dinner. 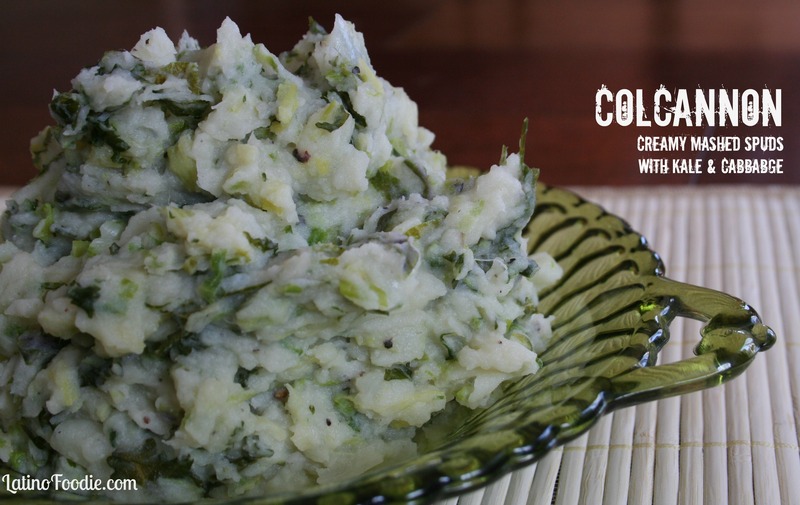 Colcannon is a traditional Irish dish made with creamy mashed potatoes and kale or cabbage. The red kale Melissa’s Produce sent us has a much sweeter flavor than regular kale. (The tender leaves make this kale edible when raw, if you’re into that kind of thing.) Traditionally this dish is served after broiled. The happy Irish cook would make a well in the colcannon and place under a broiler until the top is golden brown. Just when you thought the dish was completed, that same happy Irish cook would place a dollop of butter in the well, spooning some melted butter over each serving. Feel free to drool. I found this traditional Irish song about colcannon. I’m not sure about the pickled cream, but the rest is definitely worth a pot of gold. 1. Peel and cut the potatoes down to 1 inch pieces. Place in medium sauce pot and fill with enough cold water to cover. Bring to a boil over high heat. Reduce to a simmer and cook for 7-10 minutes or until tender. 2. Drain the water and return the potatoes back to the pot. Mash the potatoes and half the butter with a potato masher. Cover with a lid to keep warm. 3. In a large skillet or sauce pan, combine the remaining butter, milk, cabbage, kale, and leeks. Season with nutmeg, salt, and pepper. Cover and cook over medium heat, stirring occasionally. Cook until soft, about 15 minutes. 4. Stir in the cabbage and kale mixture into the mashed potatoes until thoroughly combined. Adjust seasoning. Optional: Place the colcannon in an oven safe baking dish. Brown the top under the broiler before enjoying. Serve with a little bit of melted herbed butter for a truly decadent side dish. “Pickled cream” is just buttermilk. 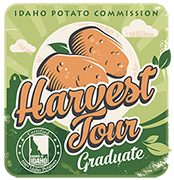 I imagine colcannon would taste pretty good with buttermilk subbed in for the milk — it would get a touch of tanginess that would pair nicely with the cabbage or kale.